Created and field-tested especially for 'little ones' in Kindergarten - Grade 2, Book/CD features 24 original songs and sight-reading pieces that will delight and challenge your budding musicians! You'll find warm-ups, holiday celebrations, seasonal songs, high/low pitch games, language arts connections with syllables and rhymes, movement and dramatizations, piano, fingerplays, and even a song to wrap up a successful school year. 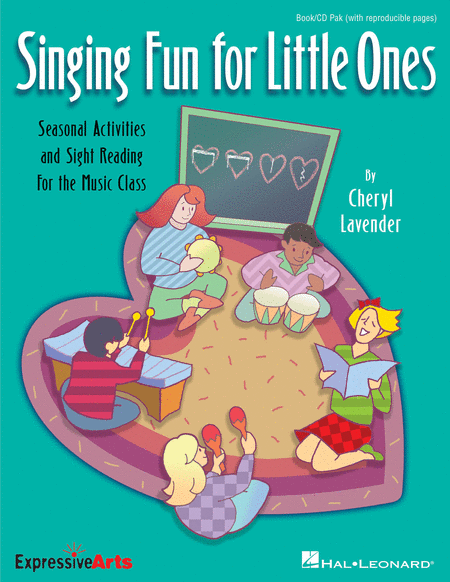 Of special interest are twelve monthly, developmentally-sequenced, sight-reading pieces designed to build music literacy skills with patterns of ta, ti-ti, rest, so-mi-la and mi-re-do. The enclosed CD recording includes both full performance and accompaniment tracks for the songs, and instrumental backup tracks for the signt-reading pieces.